For a brief while there, I had thought that the advent of the high definition age would mean an end to the regionalism that so annoyed me when it came to my appreciation of home cinema on DVD. Then I bought the Field of Dreams UK Blu-ray, saw that it was a barebones, single layer disc, and learned that the US disc was overflowing with extra features, and sent it back. I’m now reviewing the US disc, which is conveniently Region Free. The UHD disc format apparently has done away with region coding altogether. I bet they still find a way to pit one country against another. 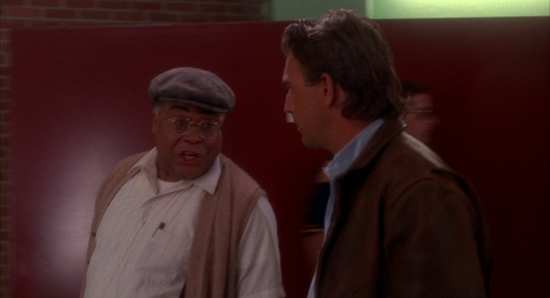 Still, Field of Dreams has been at the head of my list of titles to upgrade since the day I got a Blu-ray player. The original UK DVD release, feature packed though it may have been, presented the film with a letterbox transfer and a rather weedy stereo audio track. That’s reason enough to double dip. Ray Kinsella was a corn farmer in Iowa, until a voice told him that “If you build it, he will come”. It, turned out to be a baseball field where his crop used to be, and he would be ‘Shoeless’ Joe Jackson, the ghost of a baseball player, one of the infamous Black Sox players. But the voice demands more from Ray Kinsella, and the pursuit of his dream threatens his home. 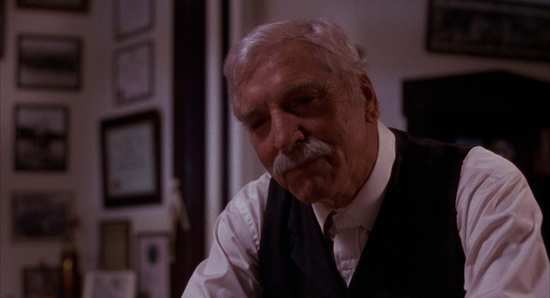 Field of Dreams gets a 1.85:1 widescreen 1080p transfer on this disc, and the first thing to say is that it is a dramatic improvement over the DVD. The difference between letterbox and full screen is obvious, as is the added detail and the robust colour rendition, all finally doing justice to the film’s ethereal cinematography. Also for a Universal disc, it hasn’t seen the excessive post-processing that sees catalogue films shorn of detail, stripped of grain in order to offer a faux crisp HD experience. 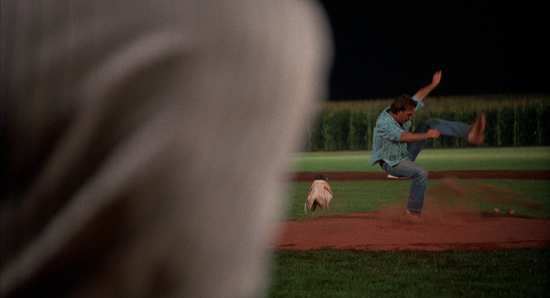 Field of Dreams still has some grain structure to it, has cinematic wobble, and the odd moment of flicker. But the film is showing its age with all that; the odd fleck of dirt on the print, a little soft at times, and pushing the colour saturation just a little. For a film that was selected for preservation in the US Library of Congress in 2017, Field of Dreams really does need the kind of re-master and restoration that Universal has given to Jaws. The disc offers an effective DTS-HD MA 5.1 Surround track with optional English, French and Spanish subtitles. While it’s mostly a front focussed affair, the surrounds are put to use for ambience, effects and James Horner’s music score. The dialogue is clear throughout, and it’s a much more robust and immersive an experience than that offered by the old DVD disc. You get one disc in a slim Amaray case, which boots Universal’s standard animated menu. All of the extra features are in SD, 480i. 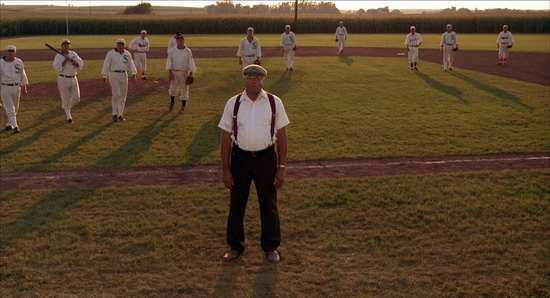 The DVD’s Field of Dreams: A Scrapbook is replicated here, running to 89:51. You don’t get the mass of stills and the film’s script which were on the DVD, but the rest of the extras more than make up for that omission. There are 16:50 of Deleted Scenes with optional introduction from director Phil Alden Robinson. From Father to Son: Passing Along the Pastime lasts 38:41 and offers a behind the scenes retrospective of the film with interviews with the cast and creators, as well as some baseball stars. Roundtable with Kevin Costner, Bret Saberhagen, George Brett, and Johnny Bench features the film’s star and three baseball stars talking about the movie and baseball. This lasts 29:56. 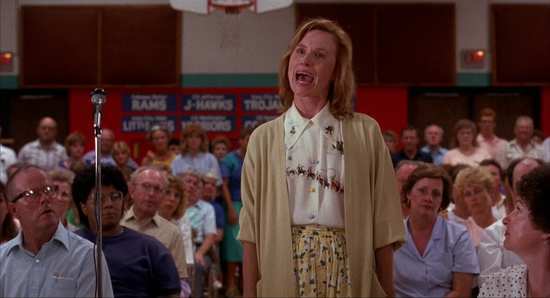 A Diamond in the Husks (17:41), and Galena, IL, Pinch Hits for Chisholm, MN (5:35) both look at locations used in the film. Bravo Special: From Page to Screen is a 46:06 documentary that looks at the adaptation of Bill Kinsella’s book into the film. You get the theatrical trailer, and of course there is the audio commentary from Phil Alden Robinson, and director of photography John Lindley. A film that makes grown men weep, and in a good way. You don’t get too many of those. 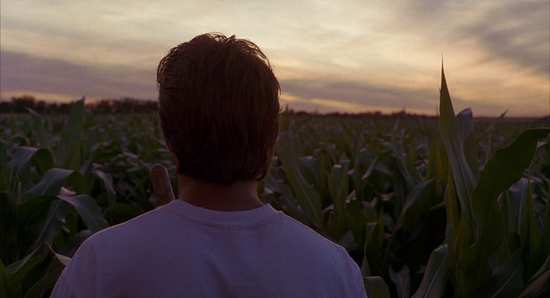 The first time I saw Field of Dreams, I learned that the baseball diamond in a cornfield that the filmmakers created for the film quickly became a pilgrimage for fans, and I somehow conflated that reality with the idea that Field of Dreams was based on a true story (beyond that of the Black Sox scandal). Perhaps it’s more the fervent wish that Field of Dreams is real, the idea of an existence beyond this mortal coil is compelling enough, but when you add the desire for men to be able to connect with their fathers the way they once did as children, with absolute trust and love, it’s easy to see just why Field of Dreams has become such an iconic film, It’s a Wonderful Life of its generation. 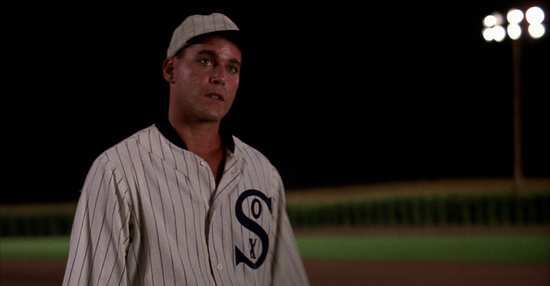 The first time you watch Field of Dreams is effective enough, but it’s amazing how well it works given repeated viewings. After all, the film becomes familiar; you know exactly how the plot unfolds, the twists and turns, and the red herrings, all leading to that final scene on the baseball field, a simple game of catch. You know it’s coming, it becomes an emotional contrivance, a deliberate build to a cathartic conclusion, and you might be tempted to accuse the filmmakers of schmaltz and manipulation. Yet it works every single time. 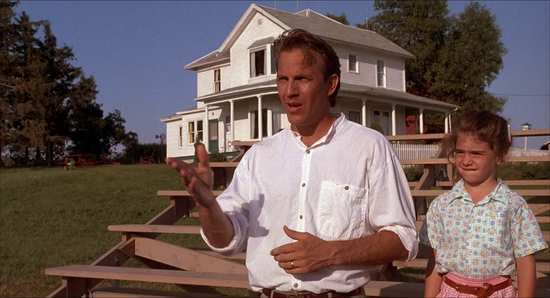 The Blu-ray presentation of A Field of Dreams could, and indeed should be much better than the simple, back catalogue treatment Universal have afforded it on this disc, but the improvement over the DVD release is so drastic that I have no real complaint. Just remember to get the US release, as it is simply brimming with hours and hours of brilliant extra features.